The 70s duo Gallagher and Lyle sang, “I wear my heart on my sleeve.” But is that level of transparency appropriate at work? 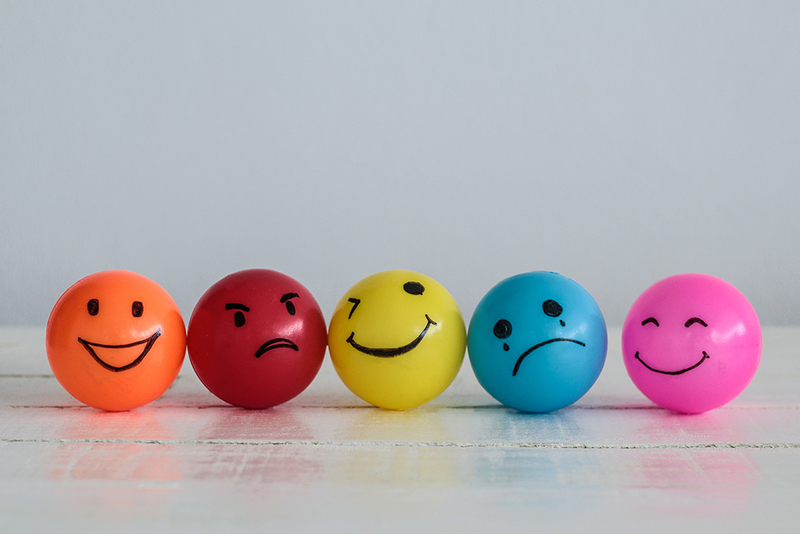 What place do emotions have in business? Are they helpful or harmful? If you say you wear your heart on your sleeve, it is often misconstrued as your emotions being out of control. In truth, it means to openly show your emotions, to be transparent, to be true to yourself. Excesses of any emotional hue may indicate a lack of control and emotional outbursts are rarely constructive. Unpredictable behaviour also has a destabilising effect at work. That said, research from Amy Edmondson has shown the importance of creating a working environment which is ‘psychologically safe.’ This is an environment where people can speak openly without fear of negative repercussions. This includes voicing hopes and fears, reservations and desires. There is a bedrock of trust that exists between the co-workers and between workers and bosses. The improved atmosphere leads to greater employee engagement, increased learning from one another, and better team innovation. Recently, a senior manager was talking to me about a change of boss. The outgoing boss had created the psychologically safe environment. As a consequence, each member of the team operated with candour and respect. Any conflict was creative in nature, enabling them to work through the disagreements together and arrive at a resolution that each and every team member could support. I asked: “How do you feel about the new boss?” The answer was: “He’s very different in nature. He’s a ‘yes’ man and he’s out for himself. I can’t be as open with him.” The manager’s inherent distrust was insidiously building barriers that would negatively impact his effectiveness at work. Throughout history, figures like Nelson Mandela and Martin Luther-King are oft cited for the power of their oration, winning both hearts and minds. Indeed, research by Falbe and Yukl showed this inspirational form of influence results in 90% commitment, 10% compliance and 0% resistance. Compare that with the results of the Legitimating style, where a leader uses his power to enforce: 0% commitment, 56% compliance, 44% resistance. Emotions win outright if engagement matters in your business. More recently, neuroscientist Tali Sharot demonstrated in her book, The Influential Mind, how emotion has a much bigger impact on us than reason and data. This challenges some of our most firmly-held beliefs about how to influence others. Yet more evidence to harness emotions for positive purpose. Often leaders create a steely or somewhat aloof façade in an attempt to keep their emotions hidden. Known as ‘Low Reactors’, they believe that keeping the lid on their id will prevent any weaknesses or vulnerabilities from seeping out. However, a low reacting leader or manager in business can cause a multitude of negative consequences: failure to recognise achievement or effort; difficulty building rapport; appearing detached and indifferent; creating anxiety in others; delaying decision-making because people are uncertain of their position. They can create a sense of distance between themselves and other employees, negatively impacting on their perceived trustworthiness. Let’s be honest, no matter how hard you may try to conceal your anger, frustration, joy, or surprise, these emotions leak out. Our brain, designed to protect us from real or perceived threat, acts like an early warning detection mechanism, picking up on the emotional climate. Emotions that are labelled ‘negative’, take for example, fear and distrust, are often natural human reactions. Think of any change project you’ve been involved in, whether as an agent or a victim, and you will have experienced resistance. That’s normal. Our brains are pattern-recognition systems and altering the nature of the pattern will be met with varying degrees of challenge. To facilitate the change, leaders need to help their people to successfully make the psychological transition from what is to what will be. This starts with giving people the opportunity to express their sense of loss before moving on to new beginnings. Henry Stewart, creator of The Happy Manifesto – Make your organisation a great place to work believes that people do their best work when they feel good about themselves. Therefore, the role of a leader is to create a positive, fulfilling work environment. And with good reason, since those businesses enjoying ‘best places to work’ status outperform on return on investment compared with their peers. Employees these days expect to have a form of connection with their bosses. People need people. Successful leaders connect with employees directly, personally and emotionally, gaining loyalty and commitment in return.